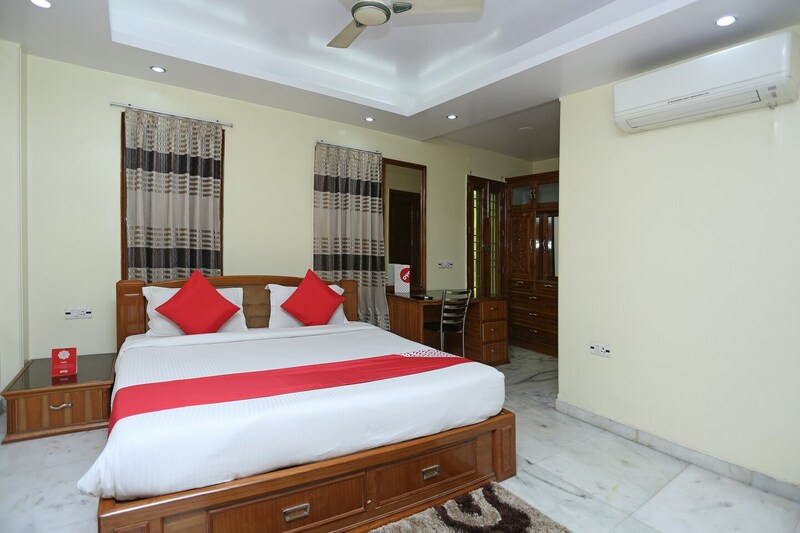 A budget property in the close vicinity of Pratap Nagar Metro station, the hotel offers comfortable accommodation with well appointed rooms that are spacious. It has an elevator, CCTV cameras, and laundry facility for the guests. It also has a sit-out area for guests. All the rooms are equipped with basic amenities. Hire a cab or autorickshaw to cover the famous attractions of Delhi is another highlight of selecting this hotel.